Senior chief petty officer is an enlisted rank in the navies of some countries. Senior chief petty officer is the eighth of nine enlisted ranks in the U.S. Navy and U.S. Coast Guard, just above chief petty officer and below master chief petty officer, and is a noncommissioned officer. They are addressed as "Senior Chief" in most circumstances, or sometimes, less formally, as "Senior". Advancement to senior chief petty officer is similar to that of chief petty officer. It carries requirements of time in service, superior evaluation scores, and peer review. In the Navy, it is the first promotion that is based entirely on proven leadership performance; test scores do not play a part. 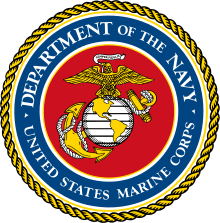 A chief petty officer can only advance to senior chief if a board of master chiefs approves, convened every year around March. Senior chief petty officers make up just 2.5% of the total enlisted force of the Navy and overall fall within the top 4% of the enlisted ranks. In the Coast Guard, advancement to senior chief is similar to other advancements, in that candidates compete with other advancement-eligible chief petty officers. Advancement-eligible chief petty officers are prioritized based on written examination scores, evaluations, award points, time in service, and time in grade. Senior chief petty officers are then selected monthly from this prioritization list as positions become available. 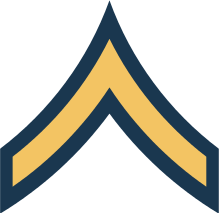 Like petty officers, every chief has both a rate (rank) and rating (job, similar to an MOS in other branches). A chief's full title is a combination of the two. 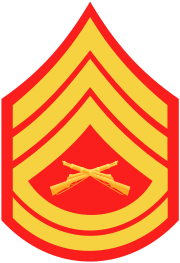 Thus, a senior chief petty officer with the rating of machinist's mate would properly be called a senior chief machinist's mate, the abbreviation of which is MMCS. Each rating has an official abbreviation, such as MM for machinist's mate, QM for quartermaster, and YN for yeoman. The rating and the rate combined give the abbreviation of a senior chief's full title, such as BMCS for senior chief boatswain's mate. 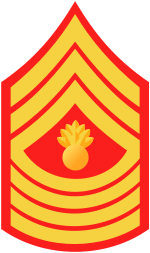 In the expanded form, the title of senior chief always precedes the rating. 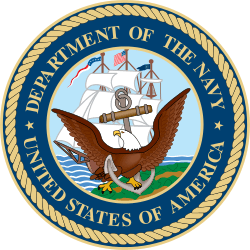 It is not uncommon practice to refer to a senior chief petty officer by this shorthand in all but the most formal correspondence (such as printing and inscription on awards). 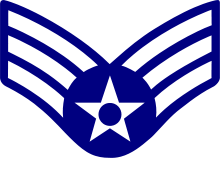 The rating insignia for a senior chief is an eagle with spread wings above three chevrons. The chevrons are topped by a rocker that goes behind the eagle (or "crow", as it is commonly called). An inverted star (similar to the stars on the sleeves of line officers) is above the eagle. This is used on the dress blue uniform. 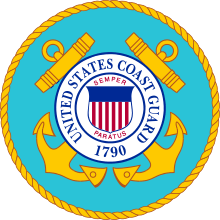 On all other uniforms, the insignia used is the one that has become universally accepted as the symbol of the chief petty officer: a fouled (entwined in the anchor chain) gold anchor superimposed with a silver "USN" in the Navy or a silver shield in the Coast Guard. 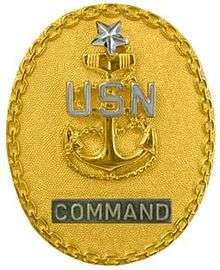 As in the dress blue insignia, the anchor is capped by an down-pointing star. In the Navy, officers and chiefs are referred to as "khakis". This is a reference to the color of one of their most common uniforms and is a direct contrast to those in paygrades E-6 and below ("blueshirts"). As of 2005 and after a pilot program taking place on three mine countermeasures ships, the Navy started appointing senior chiefs to command roles. Until this time, senior chiefs had a senior enlisted leadership role in the submarine force as chiefs of the boat. This new effort works to formalize leadership at the senior chief level. Senior chief petty officer is also a rank in the Irish Naval Service (Irish: Ard-Mhion-Oifigeach Sinsearach). 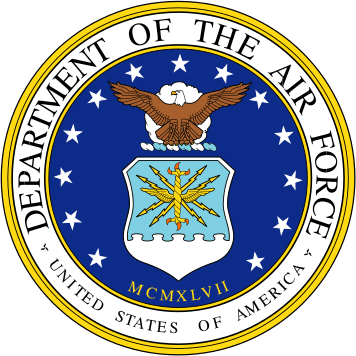 The rank is deemed equivalent to a member of the NATO armed forces ranked E-8, making it the equivalent of a senior chief petty officer in the US Navy or a warrant officer class 2 in the Royal Navy. The rank is one grade below an Irish warrant officer. ↑ "10 U.S.C. § 517". law.cornell.edu. Retrieved 2013-07-10.